Note: consulting work is indicated with a parenthetical "Consulting" beside the title. Projects without this beside the title are personal. 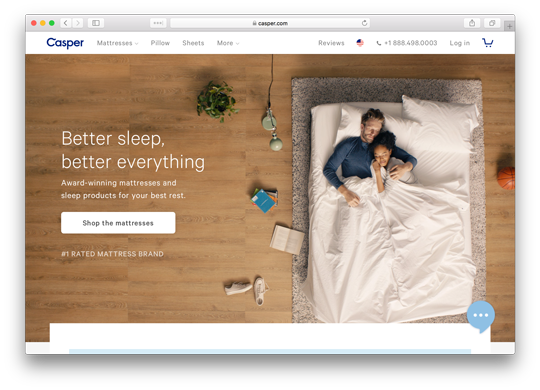 I have done extensive consulting work across the stack for Casper, a fast-growing New York-based ecommerce startup that develops products in the sleep space. 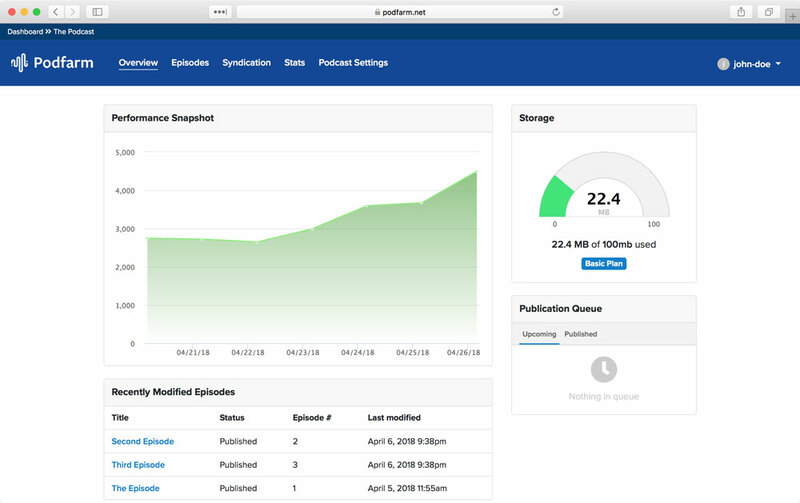 Podfarm is a podcast hosting service. In addition to basic hosting, it offers syndication tools, detailed listener analytics and customizable embedded players. 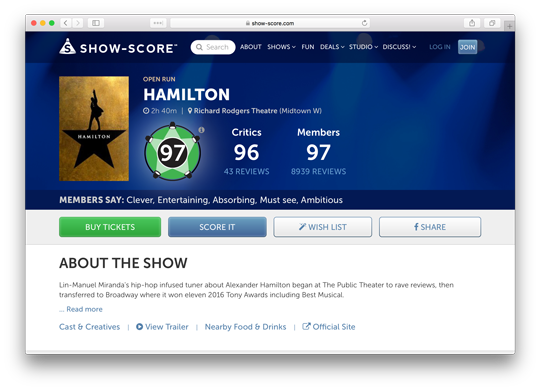 I was the principal developer of the MVP for show-score.com, a popular online review and ticket offer aggregator for the theatre community. I still serve as a technical advisor to the company. 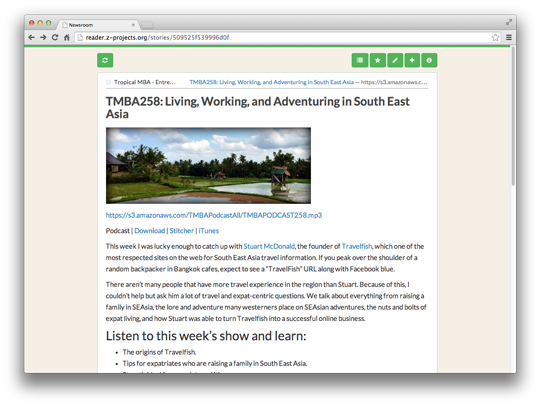 Newsroom is a lightning fast, browser-based RSS reader written in idiomatic Ruby on Rails. It is an open source project that you can check out here. 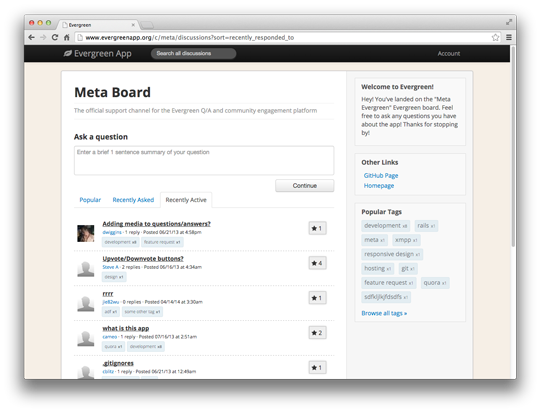 Evergreen App is an open source, full-featured Question and Answer application and knowledgebase for product owners in the vein of Stack Overflow or GetSatisfaction.com. It has excellent performance and a comprehensive feature-set including fuzzy search (backed by PostgreSQL's inverted full-text indexing capabilities) and fine-grained security controls. 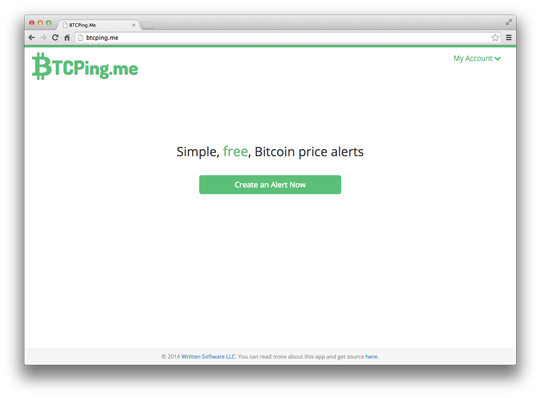 BTCPingMe is a simple, free, open source Bitcoin price notification app. You can use a hosted version for free forever over at http://btcpingme.z-projects.org or you can check it out on GitHub and host it yourself. You can read more about BTCPingMe in this blog post. 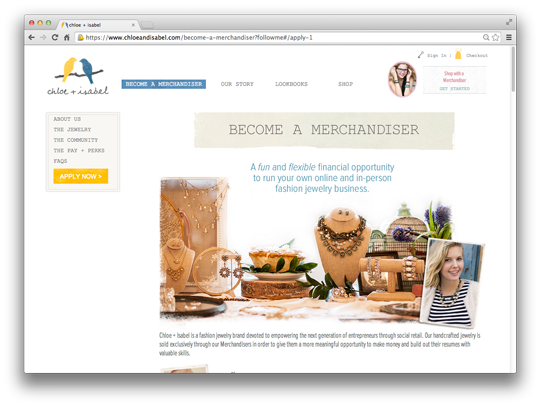 Chloe + Isabel is a fashion e-commerce and direct selling brand based in New York City and backed by top-tier venture capital firms. I consulted with them for over a year, helping them solve infrastrucutre and product design challenges as they grew. 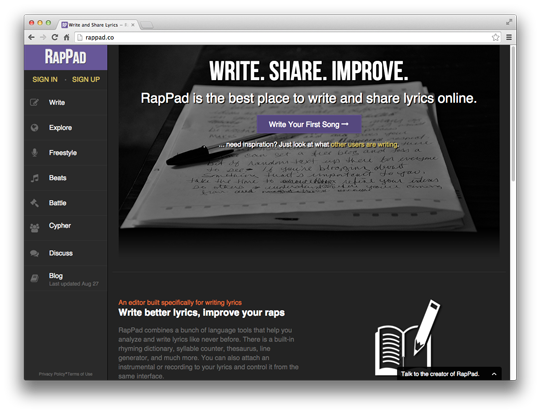 I contributed several features to RapPad, a web application for writing and sharing raps, discovering beats and staging rap battles. These features include the app's HTML5 audio player (with YouTube and Soundcloud integration), and its beat index and discovery pages. RapPad's primary maintainer and owner is the phenomenally talented Amir Sharif. 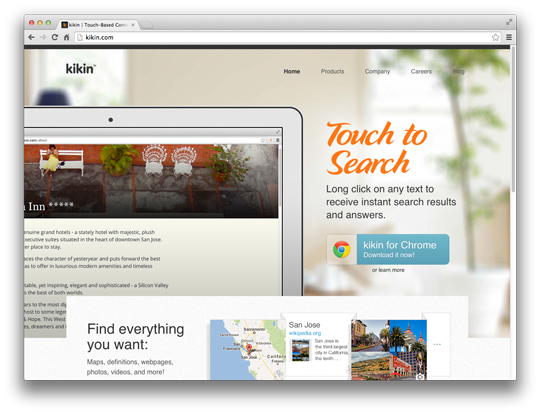 Kikin is a New York-based technology company specializing in innovative contextual search applications. As a consultant I contributed several key features to their Google Chrome browser extension and their native iPad application. 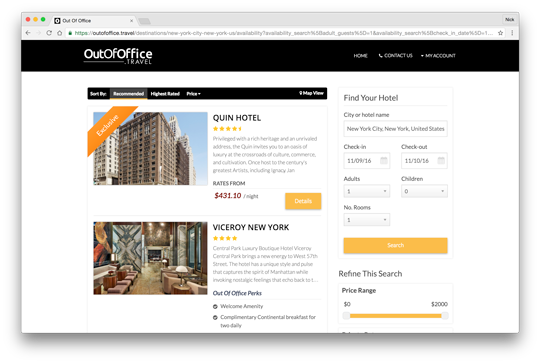 OutOfOffice.travel is a niche product for the travel market. It is under active development for forthcoming launch. iSakeBomb was a novelty iPhone application that simulated the experience of drinking a Sake Bomb. It used the iPhone's built-in accelerometer in combination with the Box2D physics engine to realistically simulate the experience of knocking a sake glass into beer and swigging the concoction. 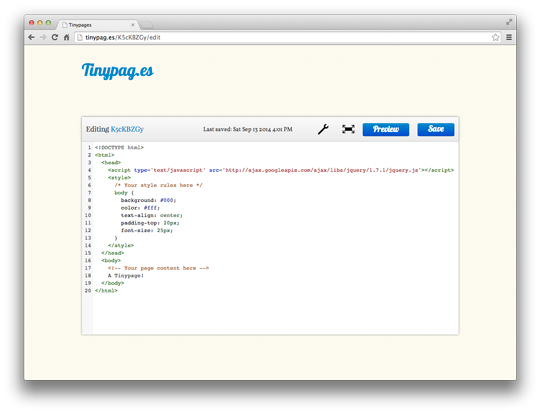 Tinypag.es is a ultra-minimal hosting service that lets you throw together and publish simple one-page websites in an instant. 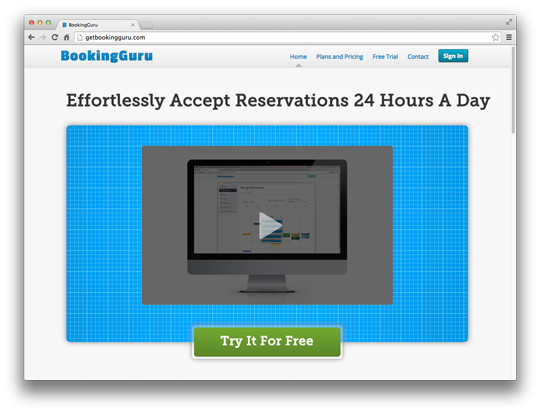 BookingGuru.com was a software-as-a-service product for the rehearsal space and equipment rental markets. It ultimately didn't find a significant enough audience to justify continued development, but I keep the application live for existing account-holders. 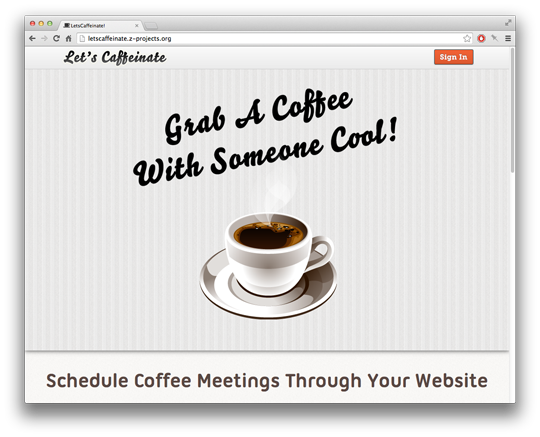 LetsCaffeinate.com was a service that provided an embeddable interactive widget for scheduling coffee meetings and accepting payment. The LetsCaffeinate widget functioned via a JSONP API and made no use of iframes. 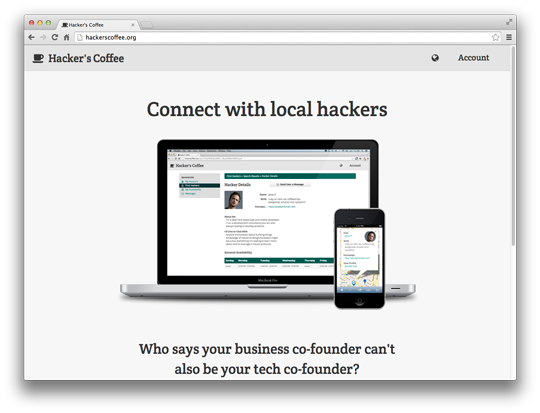 Hacker's Coffee was an experimental project slapped together in one week to connect local developer-entrepreneurs with one another over coffee. 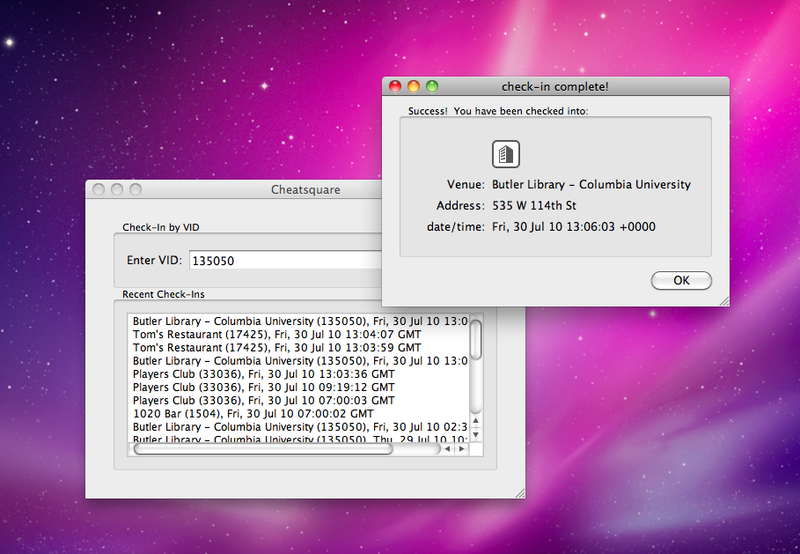 Cheatsquare was a desktop application I wrote back in college that made it easy to fake Foursquare check-ins at arbitrary locations. It was built atop the now-deprecated Foursquare v1 API and used the PySide Qt Gui Framework bindings for Python. Nicksmap was an application that I developed back in college after having had an extremely challenging time finding an apartment in immediate vicinity of my campus. 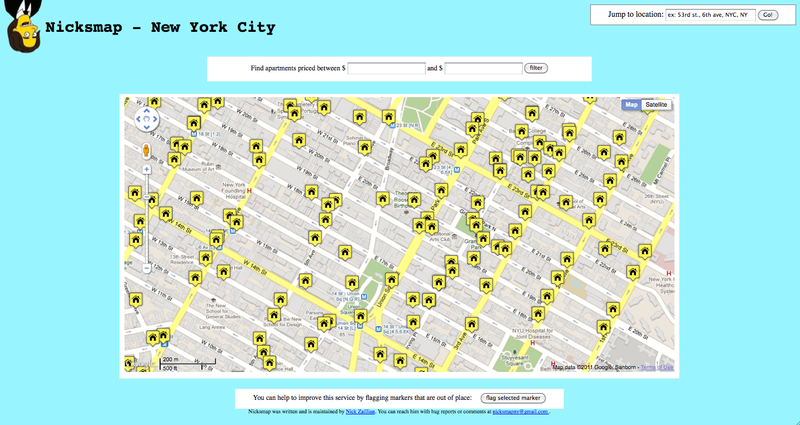 It scraped and mapped Craigslist apartment listings for the New York area and employed several heuristics to guess apartment locations (with ultimately very good accuracy) when location information in listings was limited.